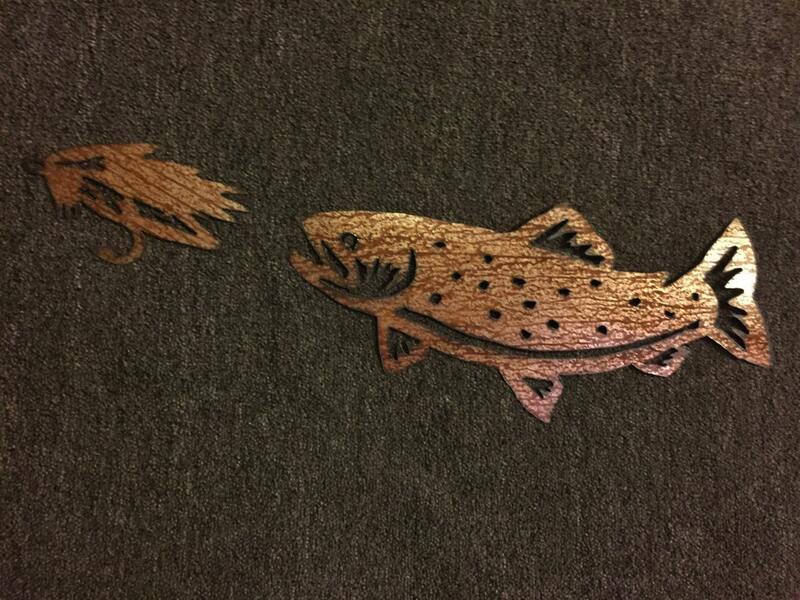 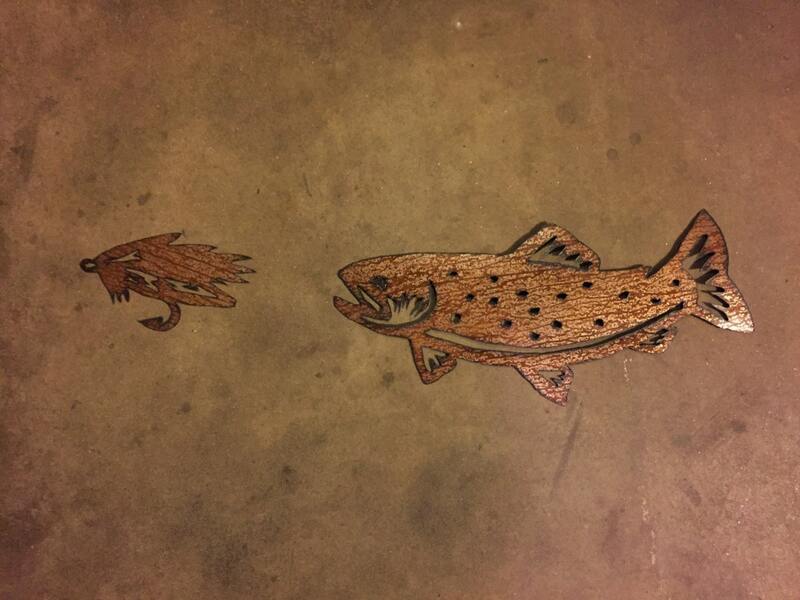 Thanks for your interest in my trout and fly metal artwork. 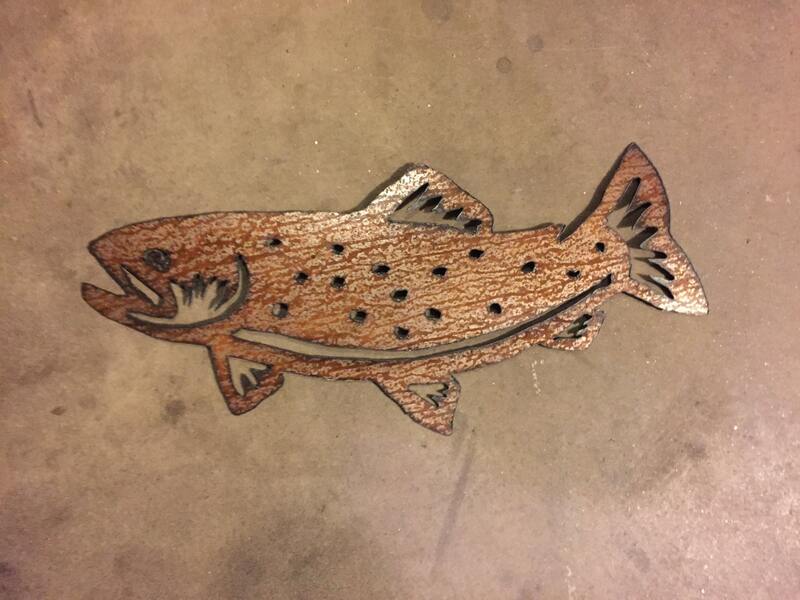 The dimensions for the listed idem is 9" tall by 21" wide for fish and 5"tall by 8.5 wide for fly. 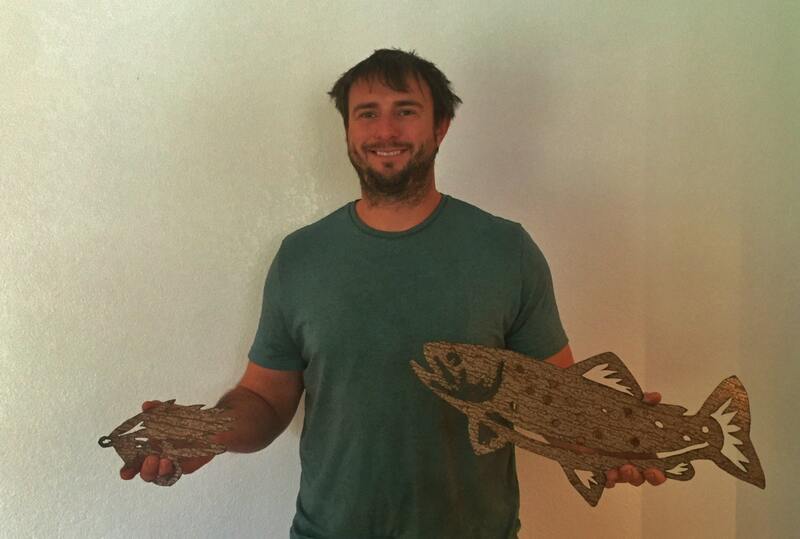 This metal artwork is made by hand with patina steel to make this one of a kind double piece.